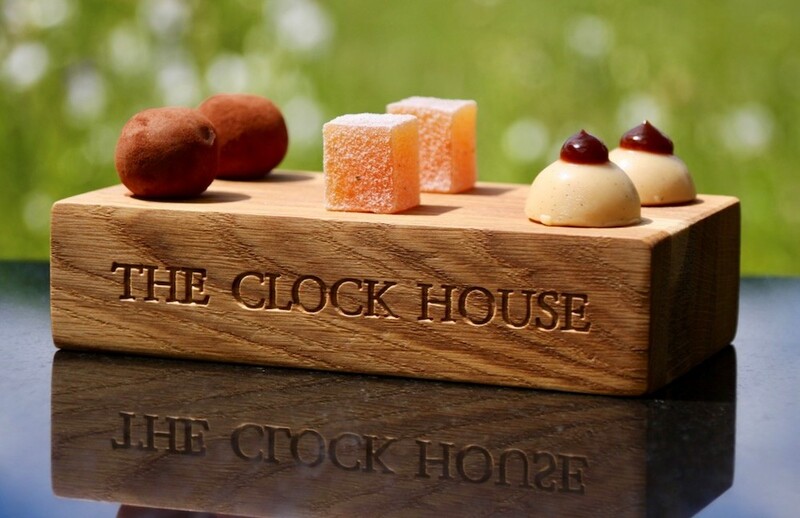 For Michelin-starred fine dining without the fusty formality, The Clock House in Ripley has it nailed. 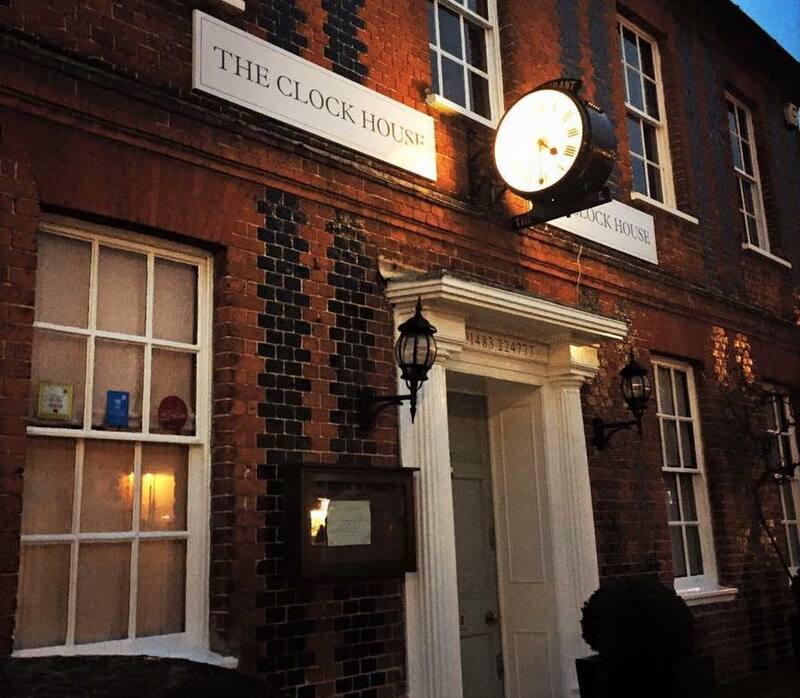 Without doubt one of Surrey’s finest restaurants, The Clock House is the reincarnate of Drake’s. Although reincarnate is perhaps the wrong word, because the body of this fine dining establishment remains pretty much the same, set in its handsome red-brick Georgian building and dressed with an sophisticated and contemporary elegance. The big change though – apart from the name – is the departure of Steve Drake, the co-founder and Michelin-starred chef who won the award for the restaurant 14 years in a row. Co-founder Serina, is still here, and it is undoubtably Serina who has rolled the essence of Drakes into The Clock House. It helps, too, that she retained most of her team. The Clock House is smack bang in the middle of Ripley, which must surely go down as one of Surrey’s prettiest villages. 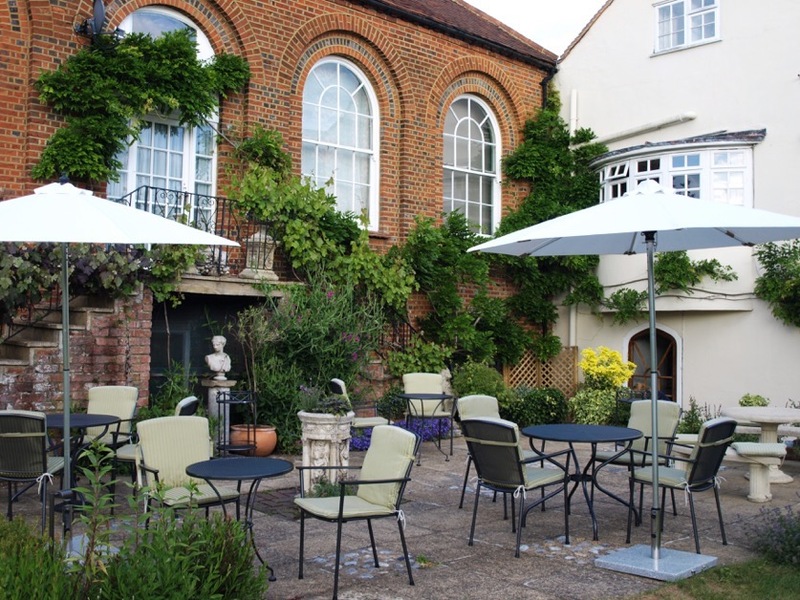 The restaurant is right next door to the luxurious B&B, Broadway Barn, so if you’re celebrating something special and you really want to push the boat out, you might want to combine a stay here with dinner. The Clock House wears its fine dining formality like a badge of honour. But don’t confuse formality with stuffy – from the minute you walk through the doors the restaurant manager, Joseph Pocceschi, and his team do their utmost to make you feel welcome and relaxed. The main dining room is classic, cool and totally fuss-free, with walls daubed in a subtle olive green but little else in the way of decoration. The original beams bring rustic elegance and warmth. 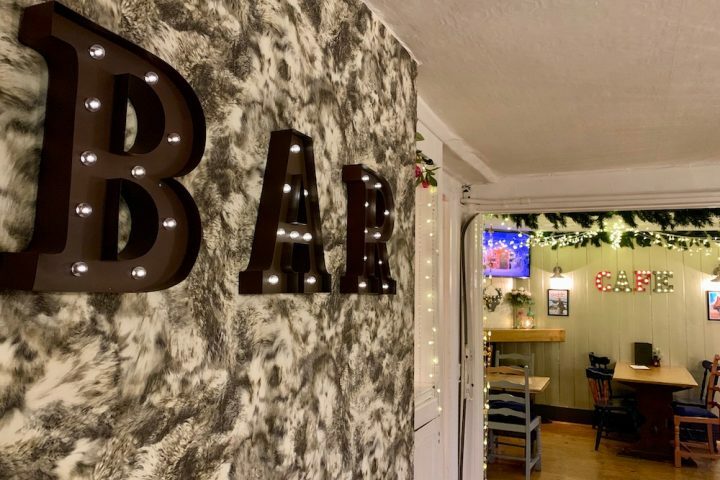 Across the entrance hall, the bar is a cosy intimate space that’s been stylishly decorated with velvet lounges, faux sheepskin rugs and satin cushions. 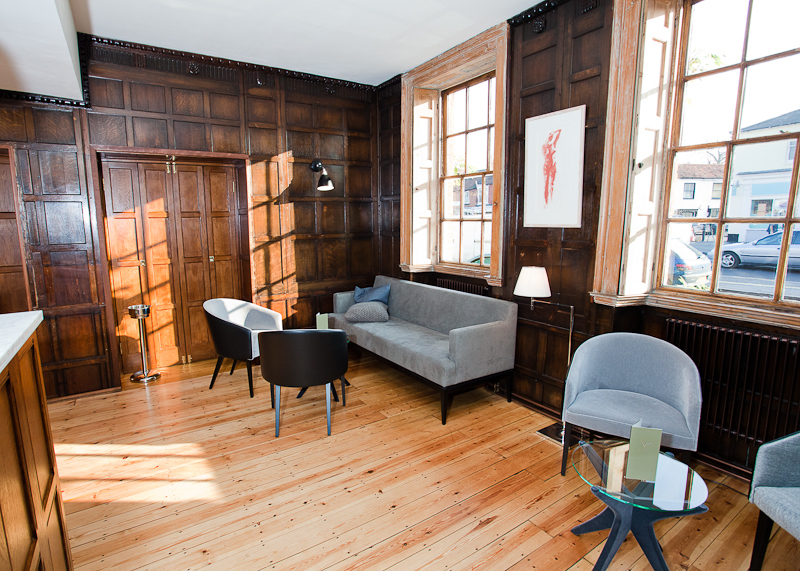 There’s more than a hint of Hollywood glamour going on here, and it looks like the perfect spot to curl up for a post dinner drink. There’s also a terrace which overlooks a stunning and obviously very well-tended cottage garden. Nothing about The Clock House is tardy. There will be no scoffing at this fine dining restaurant, thank you very much. The focus – as it was with Drake’s – is firmly on quality food. Head chef Fred Clapperton, a former sous chef and protege of Steve Drake, had pretty big shoes to fill after his boss left, but he’s quickly risen to the challenge. Already the restaurant’s 3AA rosettes have been reinstated. Impressive. 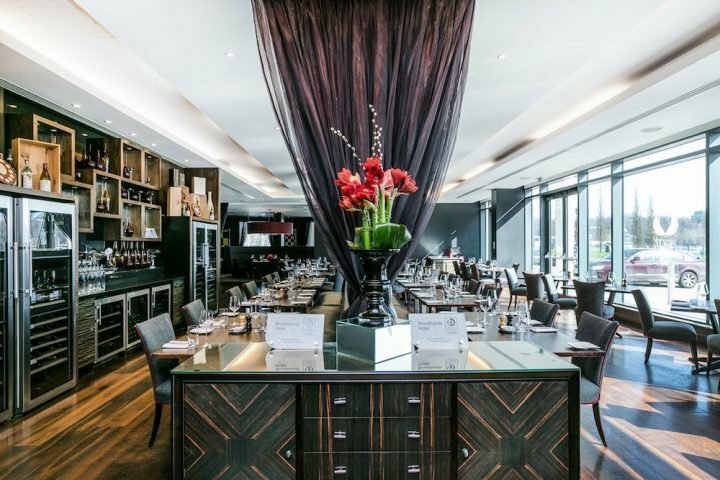 There are a couple of dining options: the a la carte menu; a tasting menu; and at lunch, a good value two-courses at £26 per person or three courses for £30. 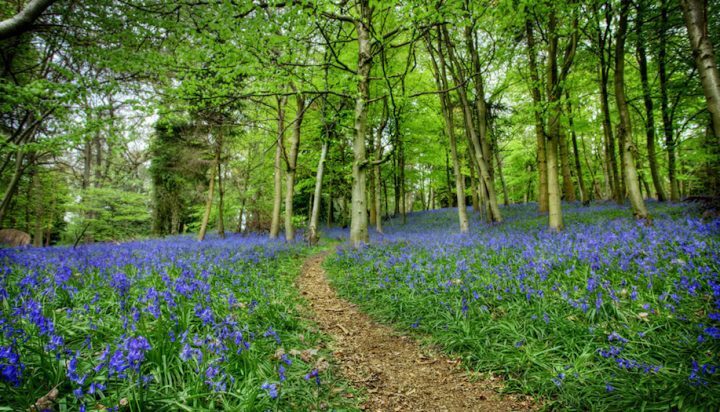 It was a sunny Friday when Mr Muds and I shook off the bratlets for our day-date. We made straight for the terrace for a glass of crisp, sparkling Nyetimber Classic Cuvee and amuse bouche – or snacks – as they’re more casually called here, before moving into the dining room to sample the tasting menu – five courses of pescatarian deliciousness. The Clock House’s excellent sommelier guided us in our wine choices, and we weren’t disappointed – a particular highlight was the exquisite Beaujolais Blanc Chardonnay from a small family-run vineyard. 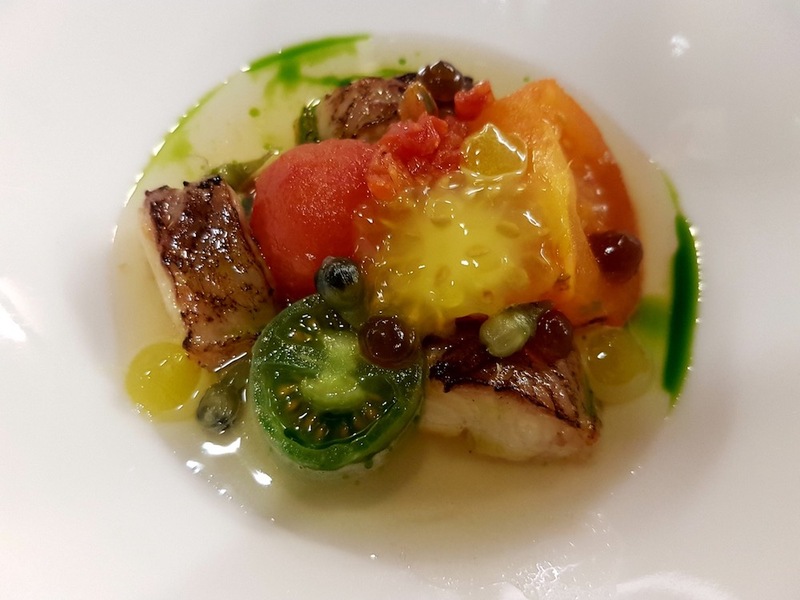 There was an air of mystery to the menu – so until each course arrived and Joseph explained what we were having, we didn’t quite know what to expect. 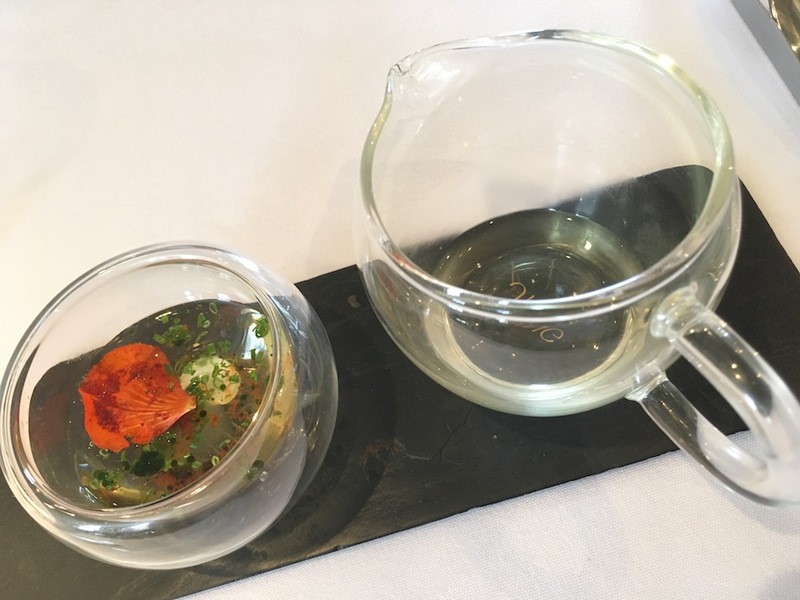 The first course, called simply red pepper and lavender, was a tasty broth served with goats cheese. It was dainty, delicate and delicious. Next was the smoked eel, Isle of Wight tomatoes and horseradish. Again, this came with a petit jug of broth which our waiter decanted for us. If I’m honest, I’m not a huge fan of smoked eel but this was light and, actually, not too bad, and the tomatoes were sweet, juicy and full of flavour. Course three – brill, smoked garlic, sea vegetables and shrimp – was utterly divine. The brill was succulent and perfectly cooked and the garlic sauce to-die-for. Four, was the first of two puds – Thai basil, cucumber and lime. It felt like an unusual combination of flavours, but it worked brilliantly in refreshing, limey, smooth mousse-ey sort of way. 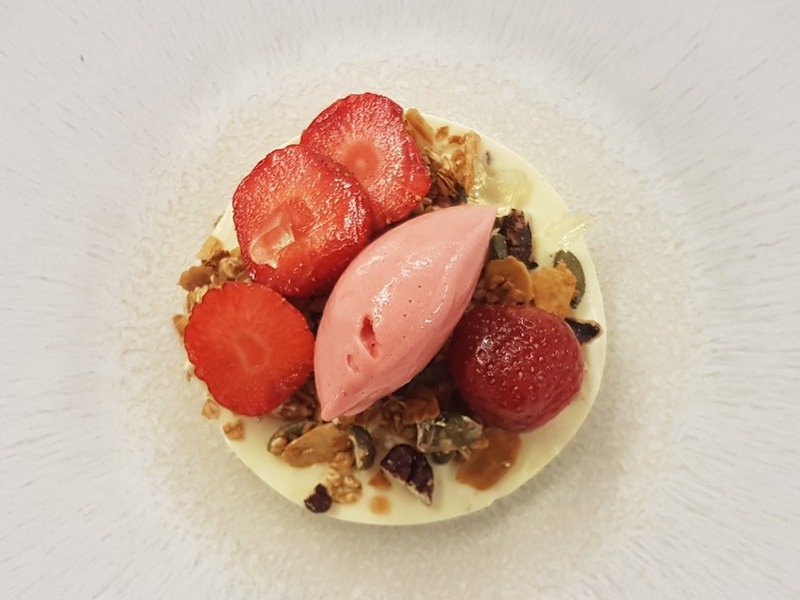 Our final course was the strawberries with clotted cream baked cheesecake, granola and lemon verbena. It was splendid. Errr, no! Forget about the kids. This place oozes adult sophistication and who wants the bratlets in tow to spoil your fun. Good for: Foodies looking for top flight fine dining action to tantalise their tastebuds. Special occassioners clinching a big deal, celebrating birthdays or creating a memory. This is a food experience from start to finish – from the bar nibble teasers and course prequels to delicious petit fours. Not for: Families unless you have older children with incredibly sophisticated tastes. Casual diners might struggle with the formality, but personally I love being treated like a princess. Sunday and Monday diners will be disappointed, they’re not open. Just saying. 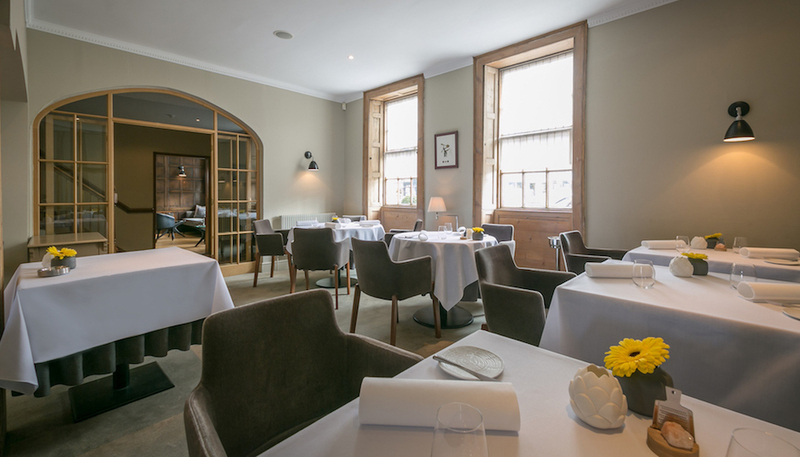 The damage: The lunch tasting menu is £49 per person, or £89 with wine flight. In the evening, it’s £70 per person. The a la carte menu is £45 for two courses and £55 for three. There’s also a good value lunch menu which offers two courses for £26 and three for £30.